The Huntsville Young Professionals promote an environment that attracts and retains young professionals in Huntsville/Madison County, Alabama. Our efforts focus on connecting people to each other and to the community through social, civic, recreational, professional development and charitable opportunities. 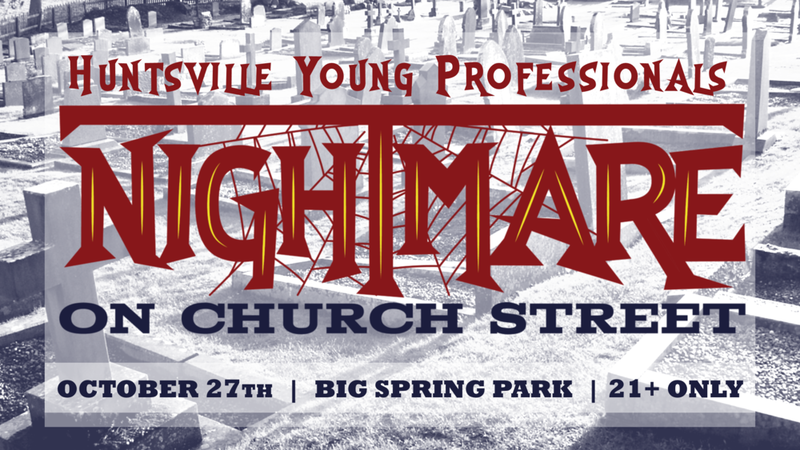 Taking place in Big Spring Park, Nightmare on Church Street will have a live band, cash bar, some unique decorations, and 600 of your closest costumed friends. Save the date and join us on Saturday, October 27th from 7:00 to 11:00 PM. Follow us on Instagram to see pics from past events! Want more event details? Check out the Events page!